Does your senior dog need a little extra attention to their health now they’re older? As your dog ages, you might find they just don’t have the same vitality they once did. For the purposes of what is termed a senior dog, any dog over the age of 7 is considered a senior citizen by the veterinary profession. Most often health problems such as arthritis, diabetes, allergies, cancers and IBS come down to eating the same old pet food, something very few vets and no pet food manufacturers will admit – see dog skin allergies link to kibble. 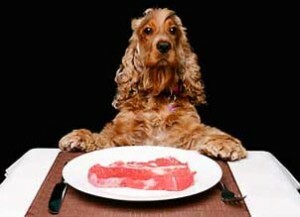 And that’s because the food does not fulfil all the nutrition requirements your dog needs over a long period of time. So your dogs immune system (the bodies defence mechanism) starts to falter, allowing health problems to develope. However, there is some amazing help in the form of nutritional supplements. Simply by adding the following ‘extras’ to your dogs food bowl, you’ll be adding back in some much needed nutritional relief your senior dog needs now while at the same time boosting their immune system to heal issues like allergies quickly to regain health and vitality. Today I want to share with you 7 great ways to boost your senior dogs health and do it without changing anything… just add some extras to the food bowl, that’s it! You’ll be far better served by correcting nutritional imbalances than swapping out food brands or continuous visits to the vet for expensive tests, antibiotics, steroids, creams, meds and specialist pet foods. I 100% recommend you start supplementing your dogs meals and watch what happens as your dogs health begins to improve within weeks, and then you’ll know for sure it was through long term nutritional imbalance. Now your on the right track, you saved on vet fees, saved on meds, saved on worry and your dog simply feels and acts better than they have in ages. I’ve also done all the research on the recommended supplements and given a link to them. 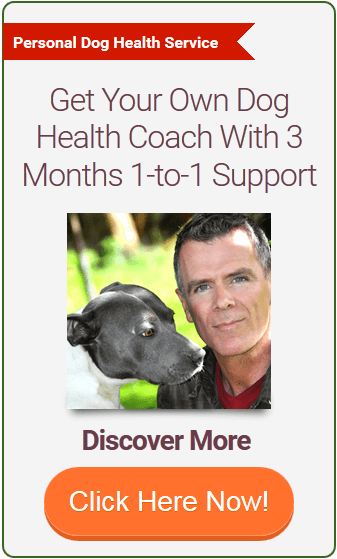 This came down to many days of in-depth research, based on my new book Home Remedies for Dogs, not just on the supplement quality but also the feedback from thousands of customers. I had to know for sure that the supplement contained the highest quality and purity, the right amounts of the active ingredient with no fillers (this happens a LOT!) and lets face it, when there’s 20 choices in front of you and 19 of them are useless, how are you ever going to pick the right one? 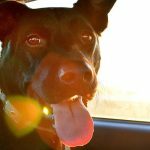 Incorporating even some of these suggestions will benefit your dog. Remember, it doesn’t have to be all or nothing. Do what you can, when you can. Some change is better than no change. Enzymes are biological molecules responsible for thousands of chemical processes in nature. They help sustain and support life. When your dog was born, their cells were programmed to produce a fixed amount of enzymes within their lifetime. The rest must be obtained from food. Because kibble contains zero live enzymes, your dogs body is burdened by the job of producing every enzyme. 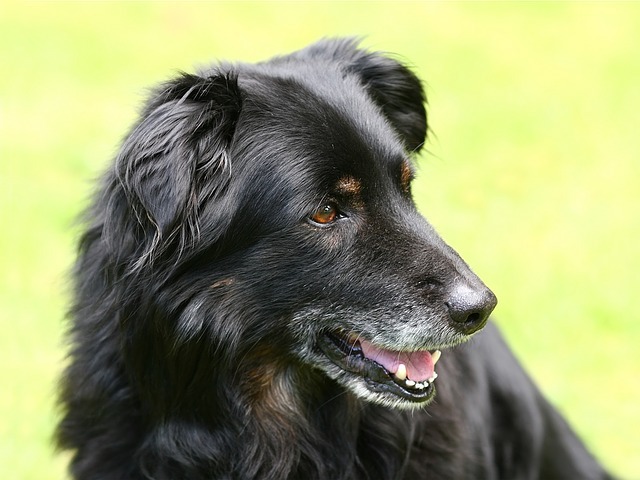 This means your senior dog becomes deficient and vulnerable to disease and dysfunction. Glands and major organs suffer from enzyme deficiency. If a dog has spent most of its own enzymes and isn’t getting any in the diet, their cellular function and health will rapidly decline. Kibble and canned dog food does not contain any live enzymes, why? The intense heat and industrial processing of commercial pet food denatures and strips the final product of all live enzymes which causes long term enzyme deficiency in your dog. 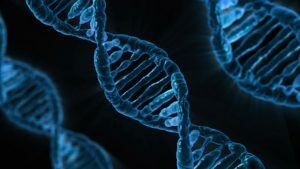 Unfortunately, there’s no easy way to diagnose enzyme deficiency since it affects each animal differently and can show up as any number of metabolic diseases. Vets can also test certain enzyme levels in the blood but this is usually only done in severe cases. 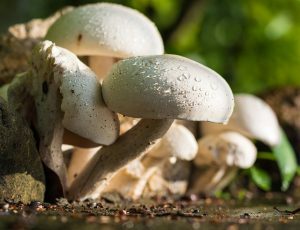 A low-grade enzyme deficiency may go unnoticed for many years. 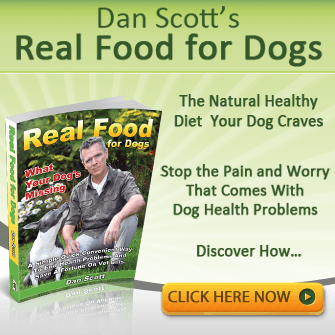 A raw diet naturally provides enzymes that dogs have obtained during millions of years of evolutionary growth. Access to live enzymes allows the DNA of the cells to maintain its integrity. But remember, when they’re gone, they’re gone – so now is a great time to make sure your senior dog is getting enough enzymes in her diet! Digestive Enzyme Supplement This one is the best of the best and USA made. I don’t skimp on enzymes, very, very important! Get it and watch the difference it makes to your dogs health. It will last a whole year too with 364 servings for dogs under 50lbs. Nothing does more to boost your dogs immune system than this extract of oats, barley, yeast, or mushrooms. It’s a must have aid to restoring, boosting and protecting your dogs immune system to disease. Beta Glucan as a supplement is a proven anti-tumor and anti-microbial, binding to receptors on macrophages and other cells in the body’s tissues. These are the bodies white blood cells that devour bacteria, foreign cells, dead and dying cells, mutated cells and other negative invaders in the bloodstream. When you give a beta glucan supplement these immune cells are more active, more powerful and effective in attacking and consuming what doesn’t belong in your dogs system. Blood sugar metabolism and insulin are just one area of benefit here. You will especially want to give your dog beta glucan if they suffer from any type of cancer, a weak immune system, or diabetes. Beta glucan has been proven effective on dogs as an anti cancer and anti tumor treatment. 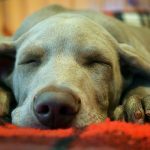 This nutrient will benefit any dog, making them healthier, less allergenic, less stressed, faster healing and more resistant to infection from microbes, bacteria and viruses. It’s doing this because its boosting the dogs immune system. You can buy it in capsule form or as a cream. Use the capsules for everything stated above and the cream for skin conditions such as burns, wounds and any eczema or skin cancer condition. Be careful to buy a quality brand as many claims are made. Make sure the cream is stated to have at least 1% real beta glucan in it! If you buy 100mg capsules, then open up the capsule and pour out half onto dog food at 50mg for small dogs and the whole 100mg for larger dogs, do this daily. There are no side effects, it’s very safe and very powerful. Glucosamine is one of the main building blocks used in the body’s synthesis of the lubricants and shock absorbing mechanisms needed to maintain and repair healthy joint performance. Glucosamine supplementation increases the body’s ability to manufacture collagen and proteoglycans, which are essential for rebuilding joints and supporting synovial fluid which lubricates your dogs joints. If your feeding kibble, then your senior dog may well be deficient in glucosamine. 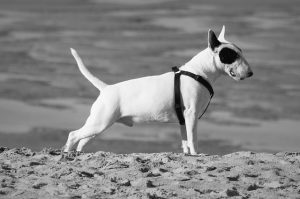 Kibble and other prepared foods may have bone and cartilage added in – or glucosamine added – but just because it goes into the food does not mean that it is bio available to your dog. Cooking and extruding can do much to destroy the health benefits. 500 mg per 25 lbs. of dogs weight. 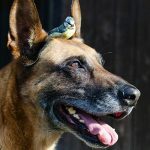 Because glucosamine is generally considered safe, there should be little concern of overdose if you’re trying to get close to the dose for your dog’s weight by splitting pills. For acute injuries, glucosamine can be given at a triple dose for one week. For dogs who have been diagnosed with arthritis, many vets advocate a double dose for life. The supplement below is an excellent quality source. Feeding properly balanced fats can improve not only your senior dog’s health and longevity but even her mental abilities and her behavior. The problem with commercial processed fats added to kibble is that they very quickly go rancid once you open that bag of kibble and oxygen gets into it, hence that stinky smell coming from those large sized one month’s use kibble bags. Fats need to be high quality and absolutely fresh. 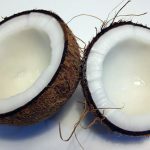 Fats turn rancid quickly and reduce the nutritional value of the food, can cause diarrhea, liver and heart problems, macular degeneration, as well as cell damage, cancer, arthritis and even death. That’s why you don’t want to buy a kibble with added fats. The fats will spoil quickly once the bag is opened and the food is exposed to oxygen. What to give your senior dog if they eat a kibble or canned dog food. Feed a combination of fish and a high quality fish oil can ensure your dog gets the benefits of whole fish, plus the extra EPA and DHA. Fish oil contains mostly EPA and DHA, although fish liver oils will also contain vitamin D. On the other hand, whole fish contains not just EPA and DHA, but vitamin D, selenium, protein, cofactors and a more complete fatty acid profile than fish oil. A 30lb dog should eat 1 whole 4.35oz can per week and can be spread between several meals over the week. Just half a can for a 15lb dog and two cans for a 60lb+ dog. 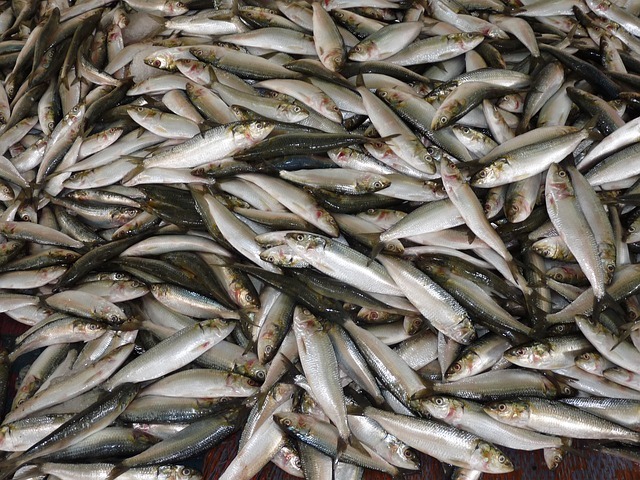 If your dog is suffering from age related health problems and generally lacks vitality, then by using a combination of whole fish, a quality fish oil and supplementing with vitamin E is going to be the best option. Many people supplement with fish oil alone and don’t realise the potential damage they are doing to their dog. Fish oil is simply not well absorbed because it does not have the cofactors, like other fats for assimilation and long term it depletes your dogs body of vitamin E. It’s the combination that makes the difference. 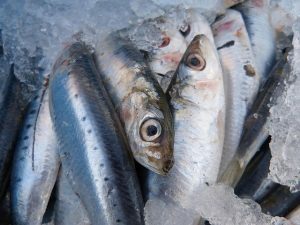 4.375oz (12 pack) Sardines packed in water with skin and bone intact, which is good and the best deal on Amazon – May even beat your local stores on price. Fish oil The best wild Alaskan Salmon Oil available at the best price. Natural Vitamin E with mixed tocopherols. Vitamin E has decades of science behind it and is very deficient in senior dogs diets. It’s a basic antioxidant that is essential for normal growth and development in dogs and people alike. Vitamin E occurs in four natural forms, alpha, beta, gamma and delta tocopherols. There is a synthetic form with dl-alpha only tocopherol in it which is to be avoided as it’s ineffective. What’s the benefit of using vitamin E? There have been countless published clinical studies around the world. These prove beyond any doubt that vitamin E supplements have numerous health benefits – especially for the heart, skin, arteries and circulatory system in general. 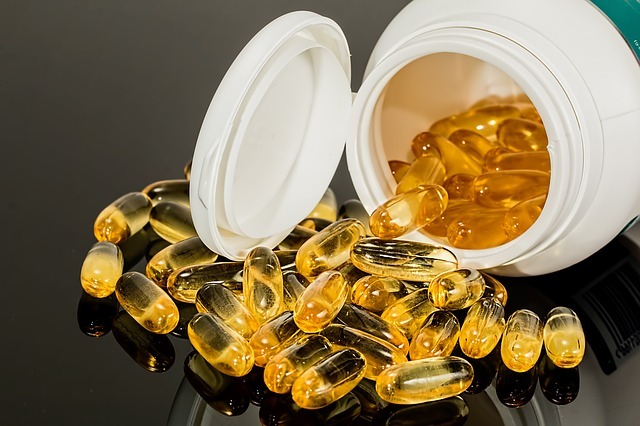 Now we are finding through the latest medical research that vitamin E is important in the prevention and cure of various cancers, especially ones like breast and prostate. Vitamin E works in perfectly with the Omega-3 oil in number 4 above. Now you have the right combination of oils and the fish oil won’t deplete your dogs vitamin E from the body. 15IU per 10lbs of lean body weight. You’ll need to take a softgel and pierce it with a pin and simply guess how much your dog needs. Not very scientific I know, but there’s 400iu in each softgel. So if your dog is 50lb in weight, one softgel will last around 5 days. Keep refrigerated for freshness. Where to get vitamin E? Here is a high quality choice of natural vitamin E with mixed tocopherols. Your dog’s health will be reflected in the quality of proteins she eats. Proteins found in meat by-products used for kibble processing (not approved for human consumption) are not the same quality as fresh, unaltered, lean, human grade meats. Also, cooked meats in kibble and canned dog food lack live enzymes that allow your dog to absorb the nutrients in his food. Dry dog food ingredients are usually processed at very high temperatures. Proper Nutrition Seacure is an easy-to-absorb protein concentrate of nearly 100% assimilated nutrients naturally derived from deep-ocean white fish. Seacure fish protein concentrate provides a pre-digested source of bioactive peptides and biogenic amines kind to kidneys, along with essential minerals and omega-3 fatty acids. These protein elements, essential to proper hormonal, immune, and neurological functions, are provided by Seacure in their simplest forms and therefore are readily absorbed by the body. The essential proteins in Seacure help to support the cells in your dogs gastrointestinal tract and regulate bowel functions – ideal to help with digestive system problems like weight loss, diarrhea, gas and Inflammatory Bowel Disease, EPI, skin problems as well as to promote general healing after an injury, illness, or surgery. Simply add to your current dog food. Dogs love the smell and taste and it will do your older dogs gastrointestinal tract the world of good and something you’ll visibly notice in weeks! Seacure-BioAvailable Pre-digested Protein Concentrate: Secure For Pets. Use together with the Probiotics below. This can lead to inflammatory health problems because a balanced gastrointestinal flora is fundamental to effective digestion and immune system balance. If your dog has any skin, liver, gas or diarrhea problems, these are examples related to bad gut health and a suppressed immune system. Since kibble and canned dog food is lacking in good bacteria, you need to look for probiotics for your dog. 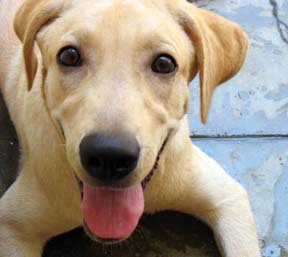 Probiotics are an excellent way to balance your dog’s stomach bacteria levels. 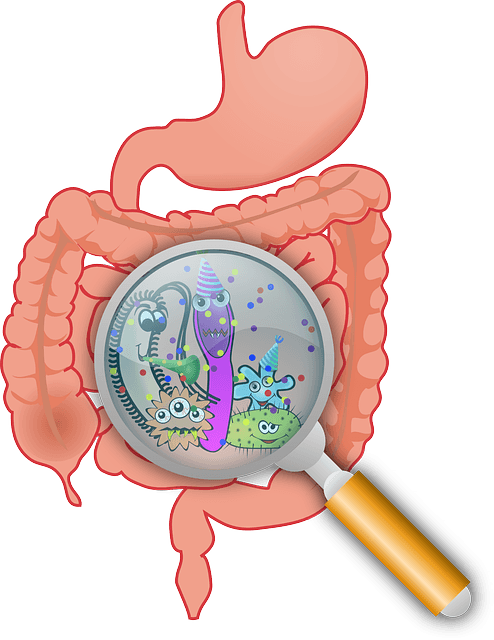 Balanced gut bacteria leads to healthy digestion and a strong immune system. Gut health has a direct correlation to overall well-being. It’s also important to feed those new incoming probiotics that do colonise your dogs gut to keep them healthy and growing. By adding in pre-biotics alongside the pro-biotics, your essentially adding some extra food to feed the gut flora created from the probiotics plus the existing gut flora gets fed too, helping it to maintain numbers and stay healthy. Prebiotics are a type of soluble fiber or resistant starch that feed only the good bacteria in the gut, allowing desirable bacteria to colonize the gut. Adding prebiotics and probiotics alongside enzymes will do wonders for your senior dogs digestive system, transforming their health for the better. There’s no prep, no fuss, you simply add a small amount of each to your dogs meals and watch what happens over the following weeks. Probiotics – Best selling on Amazon for good reason, USA made, 2 billion CFU’s per scoop with 22 species cannot be beaten! 90 day guarantee and great customer service. Will make a huge and positive difference to the whole of your dogs gastrointestinal system. Prebiotics – This is a little 1oz tincture, just add a few drops to food or straight into your dogs mouth. Directions on packet. Gets to the parts of the gut Probiotics can’t reach, whilst feeding and boosting the probiotics your supplementing. I’d get 1 bottle, use it with the probiotics, then discontinue prebiotics once the bottle is finished. (Please remember: if you get vet prescribed antibiotics for your dog, your dogs gut flora levels will be killed off and end up back at square one. This means you will have to start over. Therefore it’s very important to give your dog pre and probiotics to get the levels back up again fast to avoid digestion problems, diarrhea and very bad gas). Using the powerful health benefits of these 7 natural remedies for your senior dog is just a few of the many remedies in the new book Home Remedies for Dogs. 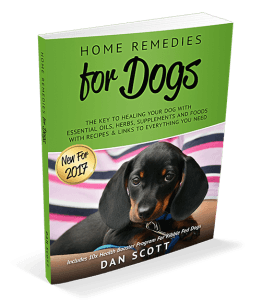 Take a look at the latest natural home remedies to heal all sorts of different dog health problems while boosting health and preventing disease. How to make kibble more nutritious on a budget and boost health 10 fold!